Dubai, U.A.E., 31 October 2018 – DAE Funding LLC (“DAEF”), a wholly-owned subsidiary of Dubai Aerospace Enterprise (DAE) Ltd (“DAE”), today announced that it intends to offer $1,250,000,000 aggregate principal amount of senior notes (the “Notes”), subject to market and other conditions. The Notes will be fully and unconditionally guaranteed by DAE. DAE intends to use the net proceeds from this offering for general corporate purposes, which may include the subsequent repayment of certain existing indebtedness. The Notes have not been, and will not be, registered under the Securities Act of 1933, as amended (the “Securities Act”), or the securities laws of any other jurisdiction. As a result, the Notes may not be offered or sold within the United States to or for the account or benefit of any U.S. person unless the offer or sale would qualify for a registration exemption under the Securities Act and applicable state securities laws. Accordingly, the Notes are being offered only to qualified institutional buyers in accordance with Rule 144A under the Securities Act and to certain persons outside the United States in accordance with Regulation S under the Securities Act. This press release shall not constitute an offer to sell or a solicitation of an offer to buy, nor shall there be any sale of, the Notes in any state or jurisdiction in which such an offer, solicitation or sale would be unlawful prior to registration or qualification under the securities laws of any such state or jurisdiction. This press release may contain forward-looking statements, including forward-looking statements within the meaning of the U.S. Private Securities Litigation Reform Act of 1995. Such forward-looking statements include, but are not limited to, statements concerning DAE’s plans, objectives, expectations and intentions and other statements that are not historical or current fact. Forward-looking statements are based on DAE’s current expectations and involve risks and uncertainties that could cause actual results to differ materially from those expressed or implied in such forward-looking statements. Factors that could cause DAE’s results to differ materially from current expectations include but are not limited to factors described in the offering memorandum relating to the offering. In addition, these statements are based on a number of assumptions that are subject to change. This press release speaks only as of the date hereof. DAE disclaims any duty to update the information herein. 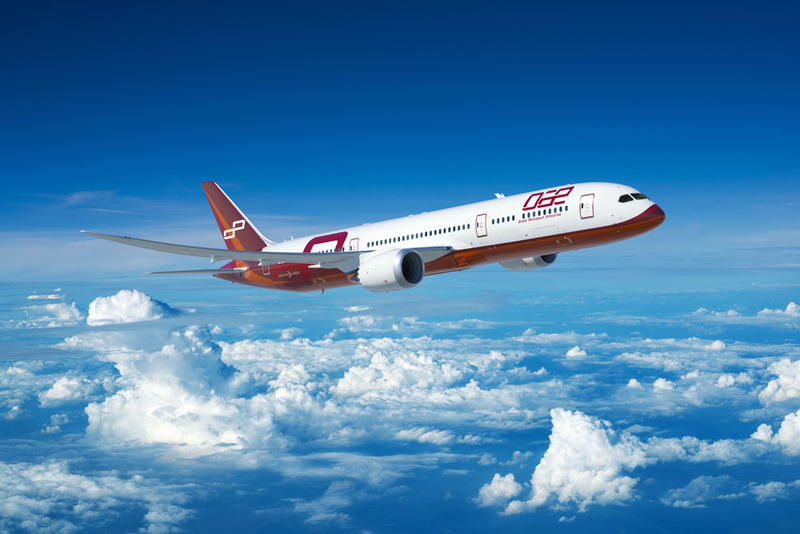 The term “DAE” in reference to the activities described in this press release may mean one or more of DAE’s subsidiaries and/or their internal business divisions and does not necessarily indicate activities engaged in by Dubai Aerospace Enterprise (DAE) Ltd.
DAE’s award-winning leasing division DAE Capital has an owned, managed and committed fleet of nearly 400 Airbus, ATR and Boeing aircraft with a fleet value of US$14 billion. More information can be found on the company’s web site at www.dubaiaerospace.com.